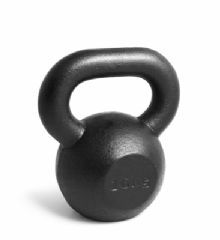 Our grey Hammertone kettlebells are as durable as they are simplistic. With minimal finish, grey exterior and a dense handle these will last a lifetime when treated properly. The most versatile training tool available.